Day1) Plane trouble, and we miss the connecting flight in Philly. By 5 minutes. Day2) We enjoy looking out at the rain from our airport hotel room in Philly. It's a dump. Day3) We finally get to Ireland, and trudge around to a few sites in the cats-&-dogs rain. Day4) We get lost in the p*ssing-down rain. Alan: "Hey look, another ogham stone!" Anikó: "That's the same one, genius." Day5) The GPS breaks. Yeah, that GPS - the one that had all our tourist spots programmed into it. Day6) A Polish driver backs into our rental car, ripping off a rear-door panel. We are overjoyed. Day7) We are forced to drive 3 hours to fill out an accident report. Our overjoyment knows no bounds. Day8) Anikó steps in dog poop, then sheep poop. The good news? Her poop locator seems to be working quite well. Day9) Anikó takes a tumble, and we hear a loud snap in her wrist. But she was proud that she saved her iPhone. Day10) Our flight home is cancelled, because the entire crew is sick. Our rerouted flight heads east, instead of west. OAKLAND - Ronald Terrence [Terry] Gilbert, 77 passed away on May 13, 2018, following a short illness. He was born in Waterville, Me., April 20, 1941, son of Ronald W. and Thena Sullivan Gilbert. In his formative years Terry studied music with the renowned Lila [Ma] Atherton. Upon graduating from Williams High School he studied and was certified as an airline steward. With the love of music still in his heart he entered the Northern Conservatory of Music and graduated with a degree in music education. He also did graduate study in England. He taught public school music for many years in Hudson New York where he had a renowned boys choir. Returning home he taught music in Fairfield, Maine along with maintaining Musical Trends where he offered private music lessons in piano, voice, woodwind and brass instruments. His private students presented outstanding recitals each spring at many different venues. He also worked for a number of years in the mental health field. His loving companions at different times throughout his life were his Chihuahuas. He is survived by three sisters, Beverly Baird Cauley of Ocala, Fl., Natalie Vogler of Ocala, Fl., Sherry Gilbert of Oakland, many cousins, nieces and nephews. He was predeceased by his parents, one sister Catherine Bacon and husband Otis, and two brothers-in-law. A Mass of Christian Burial will be celebrated at 11:00 am on Wednesday, May 30, 2018 at Notre Dame Catholic Church, 116 Silver Street, Waterville. Wallachia: Reign of Dracula - demo available! 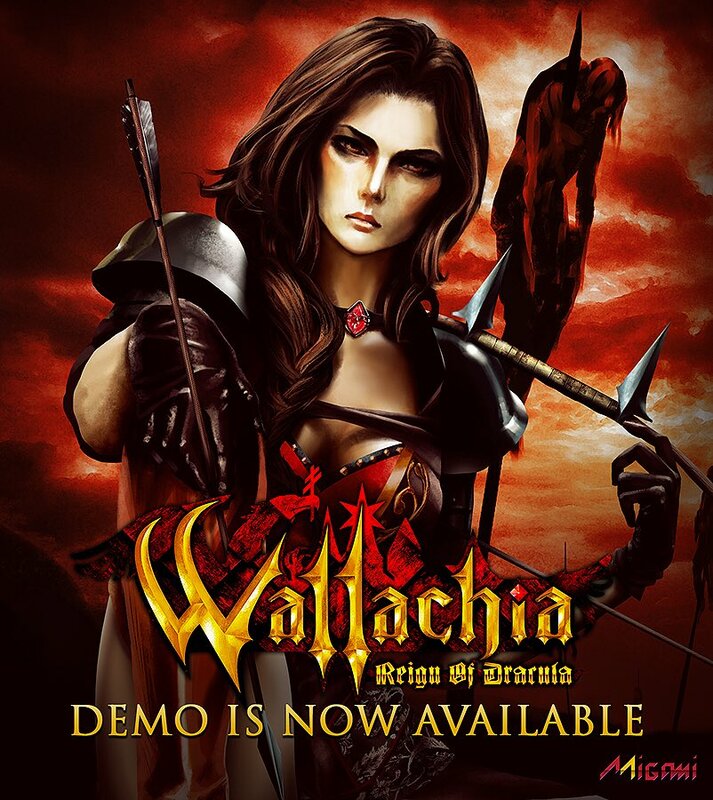 The game demo for "Wallachia: Reign of Dracula" (which I had a small part in writing) is now available!